There is a message going out from the Barcelona Council to tourists that are looking to stay in or visit the area at a timeshare or rental to make sure that the property is properly licensed prior to booking. This is part of a social media campaign from the Catalonian government to make sure that visitors are checking any vacation listing for registration. If you are a tourist, this online process can be conducted in English. Locals are also encouraged to report any apartments that are thought to be rented illegally by using the hashtag #fairtourismBCN. There is also a wider trend in Spain that involves the issuing of rules for Airbnb rentals as well as similar platforms, which has been in place for years now. Back in 2001, Cataluna came up with a license required for all legal vacation rentals, which is called the HUT license. After three years, no more licenses were issued and there are now 9,600 apartments throughout the city that are properly licensed. Beefed up government enforcement teams have been able to successfully shut down roughly 2,000 illegal listings since cracking down. There has also been an agreement reached with Airbnb to help remove any illegal listings from their platform after a protracted battle where they were given a €600,000 fine, which is still unpaid. Spain is the number one pick for Brits purchasing abroad. Have you ever wondered why? The following are five key reasons why heading to the Spanish Costas is a great idea if you would like to own a holiday home or start a new life in sunny Spain. Property in Spain is not only cheaper, but the cost of living there is as well. According to Numbeo.com, a consumer price website, Spain is 19.9 per cent less expensive than the UK compared to consumer prices; groceries and eating out are 16.5 per cent and 29.5 per cent less expensive respectively. Paying €12 for a three-course meal (menú del día), which includes sea views and wine, is not uncommon. There is not a big difference in cost of utilities, but in Spain’s warmer areas, you won’t spent as much on hating. Council tax is a real bonus, it is called SUMA or IBI and is a lot lower than in the UK. For instance, an average two-bedroom apartment located in Costa del Sol will cost approximately €500 per year. In addition to being more enjoyable, moving to Spain might also extend your life. The OECD reports that the life expectancy in Spain is 83.2 year, which is the highest in Europe and also two years older than the UK. The combination of a balmy climate, relaxed al-fresco way of life, and Mediterranean diet results in Spain being rated on a regular basis by the World Health Organisation and others as one of the world’s healthiest countries. In particular, the Costa Blanca is well known for its idyllic climate, and its low humidity level are well-known to help relieve some health conditions, including respiratory diseases and arthritis. For guaranteed sunshine, one of the best winter sun destinations in Europe is the Canary Islands. One thing that provides retirees with a lot of assurance is that the healthcare system in Spain was rated as being eighth best out of a total of 192 countries by the Healthcare Access and Quality Index in 2017. That places it ahead of Portugal (31st), the UK (30th), France (15th), and Italy (12th). From chic city pads to rust fincas to bargain beach apartments to multi-million-euro villas, the property market in Spain caters to all budgets and tastes. Average home prices in Spain are a lot lower, so selling in the UK might mean you can buy a Coastas home and still have some money left over from your process – which for expat retirees is a common scenario. Low-interest rates in the Eurozone and Spain means that right now euro mortgages are a particularly good value. Resorts on the Costa del Sol, which is home to the glamorous Golden Mile and Marbella, and Costa Blanca, which is home to the fashionable Javea resort and Torrevieja, offer the entire price range spectrum. Costa Calida, Murcia, and Almeria are some of the other affordable options, where a €80,000-€100,000 budget will comfortably get you a two-bedroom apartment close to the beach. A majority of people purchase on an urbanisation or complex with one or several communal gardens and pool. Some prefer being in a golf community or close to a fairway. If you would like a Spanish lifestyle that is more authentic and where your money will go further, then you should look inland for a townhouse in one of the whitewashed villages or a rustic finca that has olive trees. In a majority of Coastas resorts, it won’t take long for you to run into other Brits. Despite Brexit, Brits are still the biggest group of foreign purchasers in Spain. In 2016, they accounted for approximately 20 per cent of all property purchases from non-Spaniards. There are some communities in Costa del Sol and Costa Blanca where all other nationalities are outnumbered by the UK population. However, you are very likely to run into other foreign expats, particularly Belgian, Swedish, German, and French homeowners. For many people, it is both fun and reassuring to be among other foreign expats and fellow countrymen. It also helps that frequently the common language is English. When it comes to selection of flights travelling from and to the UK, not many countries can beat Spain. Low-cost carries, like Jet2, Norwegian Air, Monarch, easyJet, and Ryanair, now have regional airports that link across the two countries. Some of the major airports include Alicante to reach the Costa Blanca, Barcelona to get to Costa Dorada and Costa Brava, Malage to reach Costa del Sol and Palma to reach the Balearic Islands’ Mallorca. These great air links help to make it easy and cheap for family and friends to visit you, and also for you to travel back to the UK for a visit, at Christmas for example. So is Spain the place for you? If yes, then leave a comment below and share your experience. If you have decided that you want to buy a property in Spain, you need to find as much information as possible to make the move as smooth as you can. When you buy property, you do not want to run into any surprises or additional costs. Fortunately, there are 10 rules that you need to know and use when you are buying property in Spain. In Spain, the estate agent’s job is to introduce a potential buyer to a seller. Once you have seen the property and are interested in buying it, you do not work through the agent. You will need to speak to an independent lawyer about the purchase and this must be done before you agree on the sale price. When working with a Spanish estate agent, they may not tell you that you need to work with a lawyer to buy property in Spain. This will be true if you are Spanish and know how to make all the needed enquiries yourself. 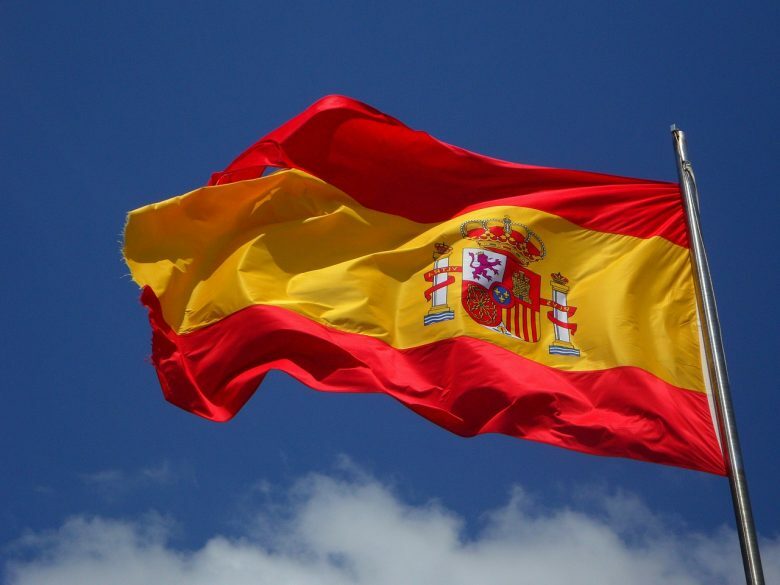 As a non-Spanish national, you will generally not have the linguistic skills or an understanding of Spanish business culture and practices which are very different to the UK. You would never think about buying a property in the UK without talking to a solicitor, so you should not do that in Spain. When choosing a lawyer to represent you, you should look at their direct experience with Spanish property purchases. The fees should also not be extortionate, but you should never hire the cheapest lawyer that you find. You do not have to choose a lawyer who operates close to where the property is located as long as they have experience handling property purchases in the area. You need to clarify the total costs of all transactions at the start. This will include the Notary fees, the purchase tax, the lawyer fees, the property registration fees and any additional expenses. Your lawyer should be able to advise you on these costs and you should not rely on the information from the estate agent. They are acting in the best interest of the sellers and not you. If you are going to be using third-party funding for the purchase, you need to be careful. You should not contemplate agreeing to a purchase until you are certain that you will be able to get the funding to cover the costs. You should not pay anything to the seller or the seller’s agent until you are completely sure that you are going to purchase the property. This means that your lawyer should have completed all of the proper enquiries and reported back to you about this. This will mean that you have to pay the lawyer a bit before you secure the property, but you will be in a much better position for the purchase when you do this. You can also delay the negotiation of the price until you have all of the results from your lawyer. It is important to note that the property you want to buy needs to be surveyed by a professional who has the correct experience and qualifications. This is a very sensible thing to do, but you might find that some Spanish estate agents discourage this. Spanish people generally do not instruct surveyors to create a report unless there is an obvious problem with the property such as walls that are not straight or big cracks. However, you should still do this, but you need to know what to expect from the report that you get. If you are going to be buying a property with common areas such as pools and gardens, you need to ensure that your lawyer has the minutes of the last meeting of the Community of Property Owners. This will help you determine the extent the owners are actually paying the service charge for the development. You should not look at buying an apartment or house in a development where your service charge could be raised to compensate for other people not paying. You need to know what the annual expenses of owning the property will be. This will include the property tax, the service charges, the non-resident income tax, water, gas and the wealth tax if applicable. You should not assume that all of the costs are going to be manageable and you need to ensure that you know what they are before you commit to the sale. If you have gone through everything with the sale and you are still not sure about certain points, you need to ask your lawyer to explain it to you. You should not assume anything and you have to fully understand everything. Once you have completed the purchase it will be too late for you to start asking about the points that you did not understand going in. If your lawyer is not able to explain everything to you, you might not want to use them. Are you planning to sell your property in Spain? If the answer yes, then this article will help you a lot. In this article, I am going to give you top tips on how to sell property in Spain to get the best out of the selling process. Before you begin the process, ensure that you get a rough idea of things that can affect the process of selling your house. This will allow you to fix any problems before you put your house on the market or enable you to familiarise yourself with areas that may present themselves as potential negotiation points. You should ensure that your property is completely ready for sale. Potential buyers want to build your house into their own home and want an empty house. Presentation also matters and this is why it is good to ensure that your house is always tidy to attract prospective buyers. You can achieve this by de-cluttering all areas and by fixing any DIY projects that are fixable. Talk to local agents as they know about the area. Talk to the agent whom you bought the property from as he or she knows how to sell it again. Other than the local agent who sold you the property, you should also talk to other local agents as they also know the area. Doing this will optimize the audience that your property reaches as many agents will be promoting your property. Talk to your lawyer and estate agent and ensure that you have all the reports and documents required in advance. For instance, you should have an efficiency certificate to confirm your property’s rating. Pass all these on to the estate agent to ensure that they are able to answer questions asked by potential buyers. Doing this also speeds up the selling process after you have found a buyer. It is important to ensure that your house has no issues before putting it on the market. If you have anything that needs to be fixed, tell the potential buyer about it. You should also know what you will do after selling your property. Will you find another home to buy in Spain? Or will you repatriate back to the United Kingdom? In case you are planning to repatriate funds from the sale back to the United Kingdom, you should know that the exchange rate can dramatically fluctuate between the time when you accept an offer and the day the process is completed. Before selling your house, look for a currency transfer specialist like Transferwise. A currency transfer specialist will talk you through the best options and offer you a better exchange rate than your bank. It may also be a good idea to ‘fix’ your rate for up to a year to ensure that the price of your property in sterling does not change during the selling process. Thanks to villasandapartmentstenerife.com for providing these tips on how to sell property in Spain. 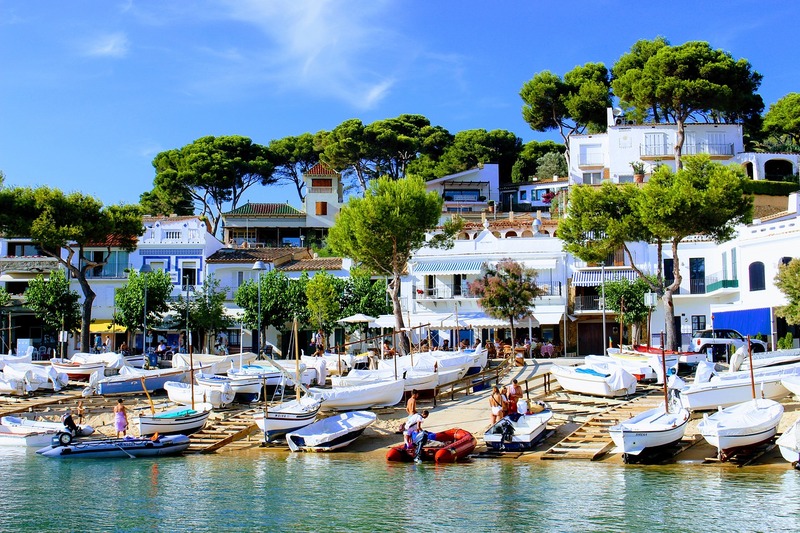 Dreams of sunny days spent beach side and a life lived largely out of doors are what cause countless individuals to consider purchasing properties in Spain, and it really does make sense. Of course, it is wise to think about renting prior to buying, given that there may be parts of the country that had not occurred to you, but which might just be ideal. Testing the waters is a great way to discover if a permanent relocation really is the way to go. Moving to a foreign country is a significant decision for anyone, and actually purchasing property is a massive investment of time and money. Therefore, instead of buying right away, it is smart to rent for a period of time. 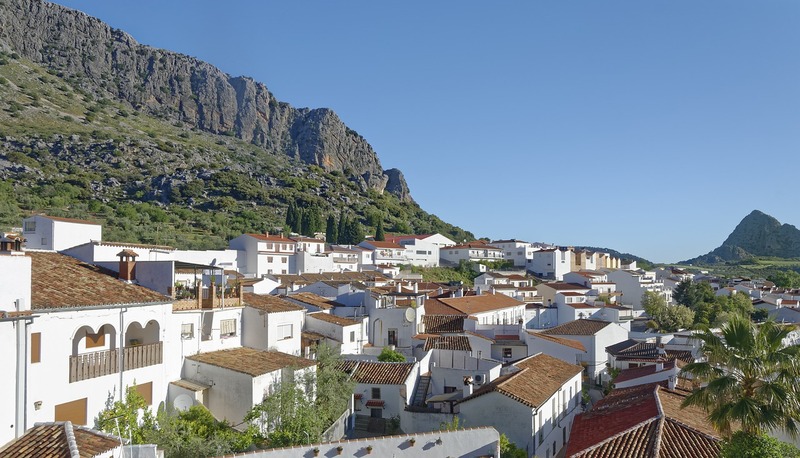 Virtually every region of Spain has long-term rentals on offer, and the prices are sure to be more affordable than consecutive week-long rentals. Living in a particular area for several months is the perfect way to learn precisely what you want in a locale as well as a property. It may even be that you do not truly wish to own, but will simply decide to rent in perpetuity. Even those who have vacationed extensively in Spain are likely to find that being a full-time resident is a different undertaking entirely. What suits you well for a holiday may not work as a year-long home, as there are lots of resort towns that tend to shut down during the off-season months. If an urban feel is what you think you would like, try renting in such a location for a while. The fact is that a bit of driving is likely to be necessary in such places, as certain types of shopping cannot be accessed on foot. The Pyrenees and Sierra Nevada areas can be a skier’s dream, but will a chalet be the right choice? Do you plan to use it as an income generator? Do you expect to be present all of the year or just part of the year? If you spend a shorter period of time testing things out, you will have a stronger idea of what will work best. Holiday rentals tend to last up to a single month and are subject to seasonal levels of tariffs. Lets that run between three and six months or even upwards of a full year tend to cost far less. They can also serve as a great home base for the real estate search. It is likely that you have already chosen a favored region, so it is worthwhile to review some local websites in order to see available property listings. Fotocasa.com and idealista.com provide English versions of their sites for those interested in finding rentals of any length across Spain. Perhaps you can secure an unfurnished rental if it is your wish to bring personal possessions with you. However, the majority of shorter-term rental properties are furnished, at least partially. See if you can get a rental that is similar to what you ultimately wish to purchase. This is the most effective way to learn if your plans are on target. It is important to note that short-term rentals offer a lower degree of tenant protection than a rental for a full three-year term. But, even rentals that last only a single month should have a proper contract attached. It is never a bad idea to have a legal professional review such a contract prior to signing, and it should not cost any more than about 70€ to have this done. It is not uncommon for foreigners who rent properties with eventual plans to buy to discover that they really do not wish to be owners. These are the people who decide to become permanent renters. The typical long-term rental contract in Spain will be relatively affordable, with the possible exception of coastal towns with high demand. This is also the case for shorter-term contracts. Renting can be a great option because when things go awry with the property, the landlord bears responsibility as well as the expense. Mortgage financing can also be difficult to secure, so many foreigners come to realize that they can simply let their property back home and rent something else in Spain. Broadly speaking, though, renting is simply an interim step in the process of becoming an owner in Spain. The wisdom of renting first to narrow down preferences and priorities cannot be overstated. Except for those with existing and detailed knowledge of a given locale, there is no substitute for some experimentation in the form of renting before selecting a permanent place to call home. The lure of sea, sun and sand is always intoxicating, but beachfront properties tend to be quite expensive compared to properties inland. Interestingly, a 20-minute drive away from the coast should reveal plenty of apartments or houses with much better value and more outdoor space. These properties could be in small towns or villages, or in urbanised areas built to cater for foreigners and locals. Urbanisations or seaside complexes have community charges, so do apartment blocks. It is, therefore, advisable that you take a look at the terms and fees before committing to buy a property. All along the Spanish coast are villas of different sizes and styles. 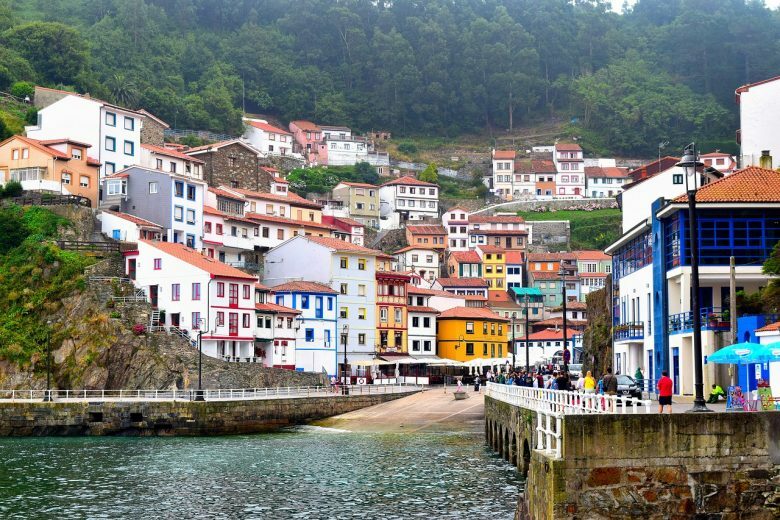 In the North Eastern part of Spain, beachfront properties are still quite expensive despite a fall in property prices. Real estate here is mostly consisted of second homes, with most being used during summer months by their owners who often live in cities like Barcelona, Amsterdam, Frankfurt, Paris, London, and such. Apartments that are not used for up to 6 months of the year are usually aired by being thrown open to the sun and wind most weekends, especially around Easter. However, most are occupied by the first few weeks of summer. These homes are often rented to tourists as a way to get extra money to cater for mortgage and maintenance costs. It is advisable to remember that property owners are now required by law to apply for licences to let their properties, which are sometimes, not approved. Therefore, consider asking your lawyer to follow up with your local town hall to find out if there are any policies that govern the letting of property to tourists. 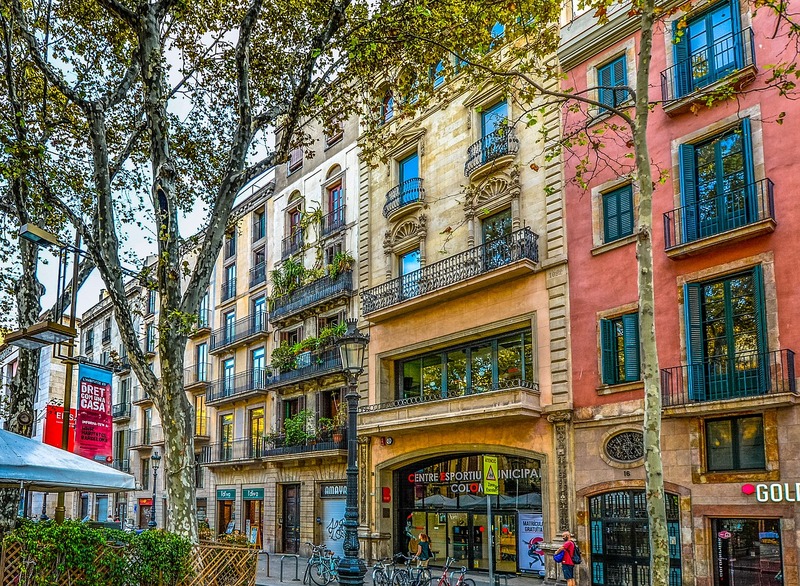 In Barcelona, the city council, or the Generalitat, oversees the letting of property to tourists and is currently seeking to crack down on all illegally let properties following noise complaints by some of the locals. The council is also seeking to limit the number of properties let within certain areas of Barcelona. If you’ve retired and are thinking of relocating to Spain, consider thinking of the facilities that you want near your property. While it is fun to buy a property on the side of a cliff with a beautiful view, however, it’s highly likely that such a home will have many steps to climb and will obviously be some distance from any shop. Considering all this, you’ll probably need a car to drive to the nearest amenities when you need anything. The same goes for apartments in small coastal towns where most of the shops close down when winter sets in. Larger coastal resorts tend to stay open throughout the year. Not everyone loves the beachcomber’s lifestyle. Most people are attracted to the simple inland villages and towns steeped in history, and surrounded by vineyards. There are several urbanisations in Spain’s countryside, but there are also standard village houses made of either stone or white-coated Andalucia. Village properties tend to be cheaper than those in big towns unless the village is near or is a tourist attraction like Pals (Catalunya) or Mijas (Andalucia). However, some of these properties will require some renovation, and the maintenance and running costs tend to be quite high. Such properties are still quite popular, especially if the village has one or two bars, chemist, or shops since most of the things you’d need are within walking distance. Life in such areas is usually laid back and slow-paced. If you are coming to Spain as an Expat, chances are you’ll be living in one of the country’s major cities or towns. If that’s the case, renting is the best option, well until you learn more about the area, found a school for your children, and have had time to shop for an excellent property to purchase. Rentals in Spain are quite expensive, especially around major centres like Barcelona and Madrid where in certain districts, the prices are starting to rise after the recession. In recent days, there’s been a trend amongst older expats where they are selling beachfront apartments and villas and moving into the nearest towns so they can be closer to some of the amenities they need like shops, restaurants and bars to ease commuting. These villas and apartments are being bought by younger expats willing to on second homes away from their busy town lives. Statistics show that there is a shift towards homes near markets and shops. 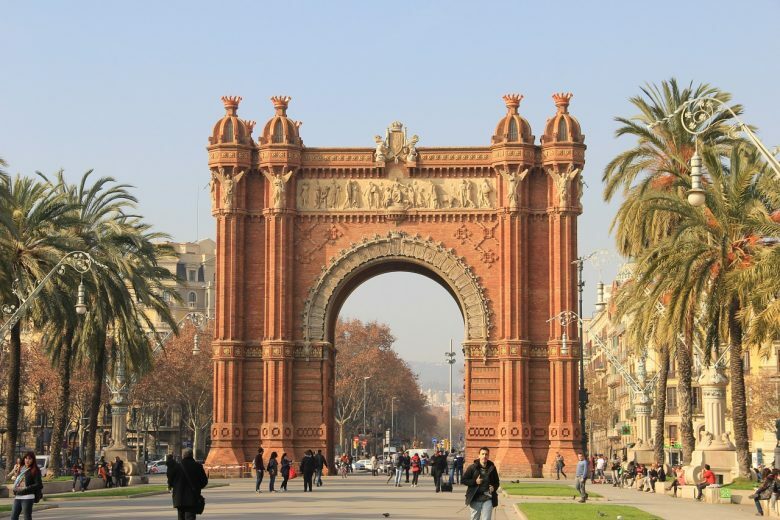 For instance, the newly opened Barcelona-Paris train route is already having a positive effect on property sales within reach of Figueres, Girona and Barcelona some of the stops on Spain’s side with the French border. And let us not forget Spain’s mountainous regions. Winter sports like skiing are widely enjoyed here, as is bird-watching and hiking during summer months. The Pyrenees mountain ranges, the Sistema Central, Cordillera Cantabrica, Cordillera Subbetica, and the Sierra Morena offer attractive properties, with most being rentals. Homes around smarter, better-known resorts are predictably more expensive; however, there are plenty of little villages and towns that offer good value for money. If you ‘re contemplating buying a property in the areas, our advice is that you visit the region during both summer and winter that way, you won’t be surprised when it starts snowing and the roads get blocked. Spain has plenty of great choices when it comes to property types and locations. As such, it shouldn’t be that hard to find a property that suits you and your family. It is just a matter of thinking about what you need, its proximity to shops or a town, the overheads and whether you don’t mind driving to the nearest amenities. Happy house hunting! Do you have an idea of the area you’d prefer to buy property in Spain? Mallorca, Costa Brava, Costa del Sol? Would you like living in the countryside, in a city, or on the coast? Would you like to live in a residential development or in a tourist development? How close to local amenities like shops and bars do you want to be? Are there enough medical facilities and chemists around where you are considering? Are there any essential amenities like schools and gyms nearby? Do you need access to public transport? Take a look at this Spain property blog to get more in-depth insight about the market.